On Friday I was lucky enough to attend a talk given by Eric Ries, Silicon Valley entrepreneur and author of The Lean Startup as well as the popular blog Startup Lessons Learned. 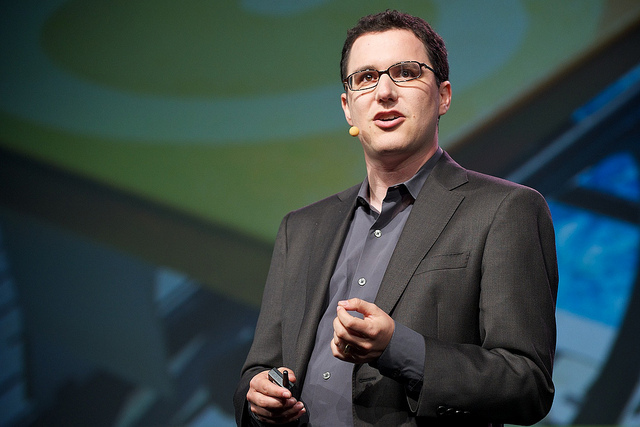 Eric’s ‘Lean Startup’ methodology has been written about in the New York Times, the Wall Street Journal, the Harvard Business Review, the Huffington Post, and many blogs. He advocates the creation of rapid prototypes designed to test market assumptions, and the use of customer feedback to evolve these prototypes much faster than via more traditional product development practices. Eric is an eloquent speaker and it’s well worth going to hear him talk if you have the chance. Failing that, there are also several online recordings available – for example, this one of Eric giving his talk at Google last year. His book has been touted a ‘must read’ for anybody working on a technology or internet startup. I am looking forward to receiving my copy any day now! What do all successful startups have in common? They pivot and evolve in response to information as it becomes available to them. What do Lean Startups do? They reduce the time between pivots, hence increasing their odds of succeeding before they run out of time/money/resources/the will to keep going. Eric’s definition of achieving failure = ‘successfully executing a bad plan’. Your project may well be on time, on budget, high quality and brilliantly executed… but if customers don’t want it, it’s worthless. What should you do instead? Build a minimum viable product, get it out there quickly, measure the customer response and learn from it. Based on what you learn, decide whether you should pivot or persevere. Do it fast. Continually repeat the process. Great advice from someone who’s been there, done it, failed, failed… failed again (and also seen some notable successes, although he talks less of those!) and learnt a lot of highly valuable lessons along the way!